Many issues can be dealt with by calling the IRS tax help line. You can call to request relief on your tax debt. Seek advice if you’re not sure which tax relief option is best for you. When you need to contact the IRS, several methods are open to you. Many self-service options are available on their website, or you can call the IRS tax help phone number. You can also send the IRS a letter, send an email, or visit a local taxpayer assistance center. What Do You Need When You Call the IRS Tax Help Number? Call center representatives are generally available from 7 a.m. to 7 p.m. local time, Monday through Friday. The number to call and hours of business should be at the top of any communications you have received. If you are calling to check the status of your federal tax refund, in addition to the information above, you will need the exact whole-dollar figure for what you are owed. You should leave enough time after filing for your return to be processed before calling. Can You Email the IRS? You can email for general information, but because of the need to protect your security, the IRS will not answer personal tax questions by email. When you use the email address, you should not include any personal information. The email address is irs.gov.website.helpdesk@speedymail.com. What Should You Do If You Can’t Pay Your Taxes? If you have received your tax bill and are worried that you can’t pay it, the worst thing to do is nothing. You should call the IRS and explain your circumstances. The IRS may be willing to work out an agreement that will enable you to pay your tax debt. In some cases, your tax liability could be reduced or collection could be temporarily delayed. 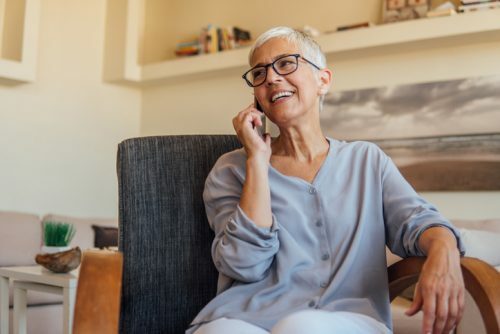 When you are unable to pay the full amount of your tax liability in a lump sum, you can ask the IRS to establish an agreement for you to pay off your debt by monthly installments. The agreement allows you to pay off your taxes over a period of time of up to 72 months. You can pay the installments in a variety of ways, but agreeing to pay by direct debit greatly reduces the agreement setup fee. If you are an individual owing less than $50,000 or a business owing less than $25,000, you can apply online. For debts exceeding those amounts, you will need to file an Installment Agreement Request form and a detailed Collection Information Statement. Another alternative is a short-term agreement, which you may be eligible for if you owe less than $100,000 and you can pay the full amount within 120 days. There is no setup fee for this option, and you can establish your request online or by calling the IRS tax helpline. While you are paying off your liability, late payment fees will be applied to the balance, and interest charges will be incurred on the outstanding balance. When your financial situation is such that paying your taxes would cause you undue financial hardship, the IRS may report your debt as currently not collectible. When it believes that it won’t be able to collect your debt in the foreseeable future, the IRS can suspend collection actions against you. The debt will not go away, late payment penalties will continue to be added, and interest will still be applied to the outstanding balance. If your financial circumstances improve, you will have to pay the increased liability. Certain individuals may be eligible for an extension of time to pay with no late payment penalties. This would only apply if paying your tax debt by the due date would cause you to suffer severe financial loss. A decision to request any of the above debt relief options should not be taken lightly. Solvable can connect you with tax professionals and debt relief providers who will advise you on the best tax relief option for your personal circumstances. Previous PostPrevious Are You Suffering IRS Levy Hardship? Next PostNext When Should I Hire a Tax Attorney?